Ford doubled Cologne, Germany, production of 1.0-liter EcoBoost to 1,000 engines per day, and is investing $200 million to build 2.0-liter EcoBoost in the U.S.
DEARBORN, Mich., Sept. 17, 2013 – Ford Motor Company today celebrates a manufacturing milestone for its fuel-saving EcoBoost engines: Two million have been produced globally since the 2009 launch of the engine line. Growing customer demand for EcoBoost-powered vehicles in major markets worldwide is driving engine production higher. Factory output now averages more than 100,000 engines per month, up from 65,000 in 2012. To test drive an EcoBoost-powered vehicle stop by Waldorf Ford located at 2440 Crain Highway, Waldorf, MD 20601 or call (301) 843-2400. Stumped for an appropriate gift for Dad? Well, Ford has issued its Top Ten list that are sold on its Ford Collection Web site. 1. Below are ten dad-friendly suggestions from The Ford Collection (www.fordcollection.com). The Ford Collection was launched in 1997 and now includes more than 750 unique Ford, Lincoln and Mercury branded items. In all, Ford Motor Company manages one of the largest licensing operations in the world, with more than 300 unique licensees. 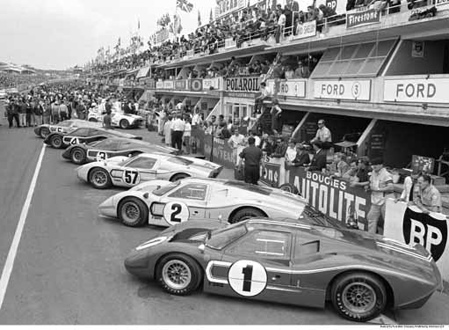 So go on, shop The Ford Collection. Dad deserves it. 2. Let Him Rock: He sent you to school, so help him enter the school of rock with a new Ford guitar. This Fender® Sonoran acoustic model delivers classic unplugged sound with a stylish blue-burst finish and Ford script. The six string costs $350 and features a solid spruce top, mahogany back and sides, Venetian cutaway, and Stratocaster headstock. Rock on, dad. 3. Decorate His Den: A treasure trove of poster-ready images chronicling Ford’s history can be found online at Ford ArteHouse through The Ford Collection. From racing heroes to concept cars, Mustangs to Thunderbirds, it’s all there. Prices start at $17.99 and framing is available. Photos of the new Ford Shelby GT500KR are hard to ignore. The car goes on sale next year, but posters are available today. 4. Empower Him: What dad really needs to get his engine running this Father’s Day is a new engine. 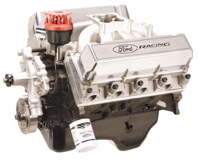 Specifically, a 514 cubic-inch, 625-horsepower Ford Racing Performance crate engine. For $8,100, this V-8 monster will show up on his doorstep. Some assembly and installation is required, so make sure you visit http://www.fordracingparts.com before you buy. 5. Help Him Be On Time: A wristwatch is a safe bet for gifting. The new, Cobra Leather Strap Watch is a favorite among the many distinctive watches available through The Ford Collection. Priced at $85, the stylishmen’s timepiece features a genuine leather strap and Cobra logo. It is delivered in a stainless steel case and includes luminous hands, date function, and is water resistance up to 100 feet. 6. Make Him Feel Like a Kid Again:Truthfully, he won’t fit. But even so, dad can appreciate the timeless appeal of a great pedal car. This year, consider a classic ’32 Ford. With prices starting at $249, there are six pedal-car models, including a flame-painted hot rod. The official 75th Anniversary ’32 Ford Roadster is a great choice and benefits a good cause. For each anniversary model sold, pedal-car maker Warehouse 36 will donate $10 to the Juvenile Diabetes Research Fund. 7. Make Him Feel Like a Kid Again, Version 2.0: Dozens of die-castmodels are available through The Ford Collection, spanning the entire history of Ford Motor Company. Models include a 1913 Ford Model T, a classic Ford F1 pickup, and even a 2006 Ford Fusion. Limited edition is the way to go when your inheritance is on the line, so consider Franklin Mint’s Ford Shelby GT500 die-cast. Only 5,000 will be produced, making it even more rare than the real thing. And prices start at $120, well below the production version. 8. Fix His Drive: New to The Ford Collection this year is a custom Nike-brand driver with the Ford Blue Oval logo on the grip, an ideal gift for dads that duff. The large head driver delivers high resistance to twisting and the thin-titanium face provides great forgiveness. It slides neatly into any golf bag for just $239. 9. Beat Him in Pool: Dad loves his rec room and will love it even more with a new pool table handcrafted by Olhausen®, America’s premier manufacturer of professional-quality pool tables. The made-to-order tables are crafted in traditional wood styling of matte mahogany or distressed matte cherry. Each table features unique brass Ford Ovals embedded in the side rails and Ford Script custom carved into the table frame. Mustang-themed tables are offered as well. Prices start at $3,700. 10. Keep Him Warm: The Ford Collection offers a coat closet full of jackets and fleeces, but your dad is probably Built Ford Tough and should dress the part. Priced at $95, the Built Ford Tough Cheyenne Dri Duck®Jacket is a classic quarry-washed canvas work coat that provides maximum warmth and durability. The hooded jacket will stand up to what dad dishes out, thanks to triple knit stitching, a heavy duty metal zipper, and rib knit cuffs. 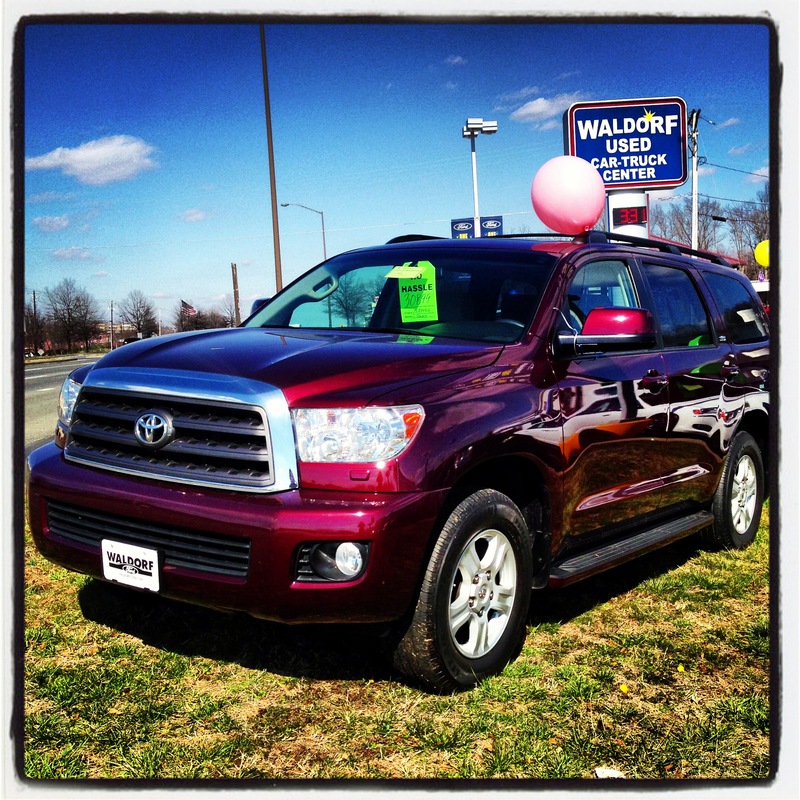 Waldorf Ford is located at 2440 Crain Hwy, in Waldorf, MD 20601. For more information visit us at www.waldorfford.com! Happy Father’s Day! WALDORF, Maryland, 4/2/13– After evaluating hundreds of vehicles each year for fuel efficiency, comfort and overall performance, AAA Auto Buying experts have selected their 2013 top vehicle picks for commuters. Both the 2013 Ford Fusion and 2013 Ford Flex have been honored with being chosen by AAA in their respective categories of top sedans and crossovers. With an average commute of 25 minutes each way and gas prices hovering about $3.50 per gallon since February, selecting the right vehicle can make a commute more enjoyable and lower expenses. Waldorf Ford is located at 2440 Crain Hwy, Waldorf MD 20601. Phone: 888-284-1463 and http://www.waldorfford.com.